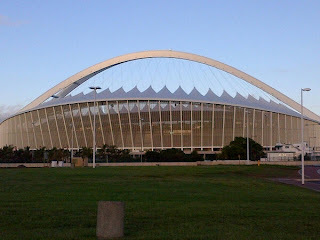 With AFCON 2013 fever around I thought it would be great to write about some of the reasons why you should play soccer. Besides that it is the most loved sport in the world, enjoyed by most people from the poor to the wealthy, from young boys to women. It is gives you a great workout, it is great for cardiovascular exercise. So that means if you want to lose weight giving soccer a try would be a good option for you especially if you want that great 6 pack. Have you noticed that many soccer players such as Super Mario Ballotelli, Christiano Ronaldo are in great shape because of soccer? Also other than those two players, if you are a soccer fan and watch a lot of top matches you will see that many of the guys are insanely ripped and low body fat because they play soccer, there are lots of player in the AFCON 2013 South Africa who are insanely ripped. You also build strength, flexibility and endurance through training, stretching and playing soccer. Playing soccer improves muscle and bone strength as well. When you start playing soccer really young, you can develop your skills and play professionally. There is lots of money to be made in soccer especially for very talented players. The top soccer leagues are in Europe mainly in England, Spain, France and Germany. Soccer players make millions from sponsorship deals; sponsors are willing to pay big money because they know soccer has a lot of appeal across all races in all continents maybe except Antarctica. Soccer is fun, like many others I grew up playing soccer with friends around my neighbourhood and at school, some of my friends even played for local teams. Even if you do not want to be a soccer star, playing soccer is a good way to socialise with others, make new friends and form stronger bonds with your mates by defeating others in soccer. Soccer promotes team work, so by learning to work in a team, it will be easier for you to work with a team in other things in life that are not necessarily connected with soccer. Soccer also boost your confidence and may take you out of your shell as it is mostly played in public grounds, if you are good at your position, whether its striking goals, being a creative middle fielder or a tough defender, you will gain confidence and we all know confidence is something that is important, something that is needed to succeed in whatever we do. Soccer may even make you cool, and therefore get girls if that is what you want, sports guys always get girls. Top soccer stars like Super Mario and Christiano Ronaldo have been with some of the most beautiful girls in the world. 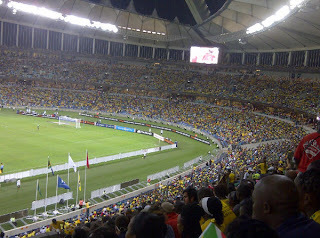 I love soccer; I hope you do too check out what has been happening with the AFCON 2013 here.